The days of having to sit in front of your living room television at a dictated time to make sure you didn't miss your favorite TV show are long gone! With the TV Go app customers of Comcast #Xfinity service can watch the television shows and movies available through their subscription package whenever and wherever they want via a mobile device. I tested out the Xfinity TV Go app the last few months and it was so nice and convenient to be able to enjoy television shows and movies on my own schedule. To get a parking space when picking up my kids from elementary school ( our district eliminated busing to balance its budget and our kids live more than 2 miles away from the building ) you really need to arrive a half hour early before classes are dismissed. I often pulled out my iPhone while waiting for their class to get out during the school year to catch up on television shows I missed when they originally aired. Streaming on T-Mobile worked great providing a crystal clear picture without any data loading hiccups. I have an unlimited data plan with my smart phone plan so I wasn't concerned about the cost of streaming; but I'd recommend you understand your own plan's limitations before using this app because data charges may apply for accessing Xfinity content through your mobile phone company depending on the service agreement you have with them. Another nice feature about using this option in my car was that through bluetooth connectivity I was able to project shows' audio through my vehicle's speakers to enjoy a great sound experience while watching them. 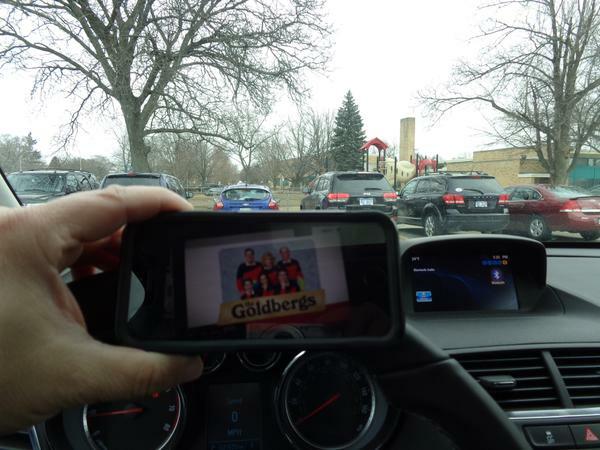 I didn't mind hanging around in the parking lot waiting for my kids to get out of school so much thanks to the Xfinity TV Go app to help me pass the time. When using the app around the house we used our home wi-fi which tended to work just as well as streaming through our phone service's data plan. We don't have a television in our master bedroom and my wife spent some time recently recovering from having her tonsils removed so she used the app quite a bit for awhile. The TV Go app was really great in keeping her from going stir crazy while she was bed ridden for a few days. I have to admit enjoying some shows and movies myself from the comfort of bed too when I was feeling too tuckered out to want to stay up and see them from our living room couch. After giving the kids a bath and putting them to bed did I really want to go back downstairs on a Sunday night to watch "Game of Thrones?" Thanks to TV Go that wasn't a decision I had to fumble around with during Season 5. Convenience really is where this app comes in handy. I've used it a lot as an outside television via my iPad on the backyard deck. 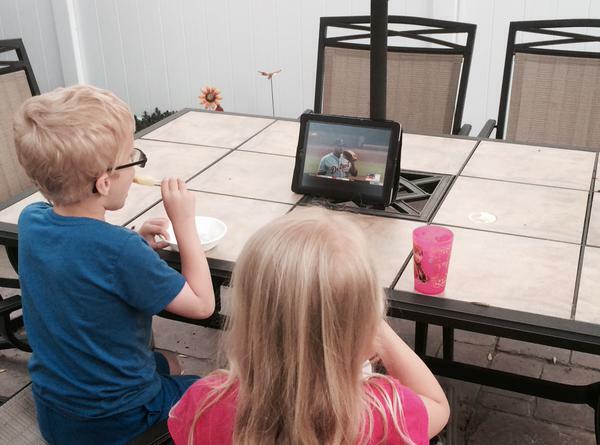 The kids and I have really enjoyed watching Detroit Tigers games on nice warm summer evenings. 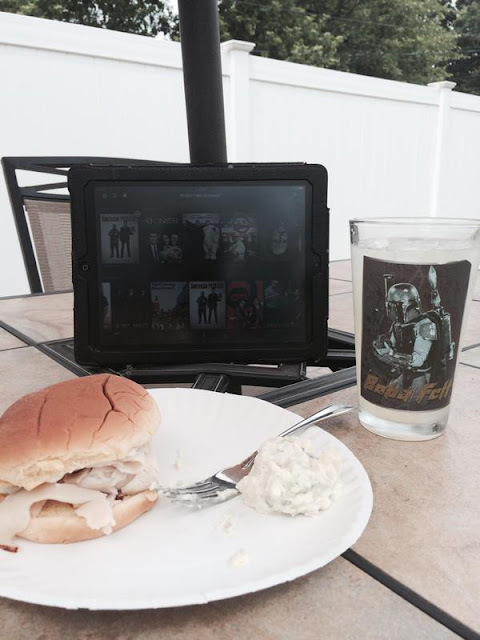 I've also enjoyed coming home from work for lunch on a nice afternoon to eat on the back deck while watching an episode of one of my favorite shows American Pickers. 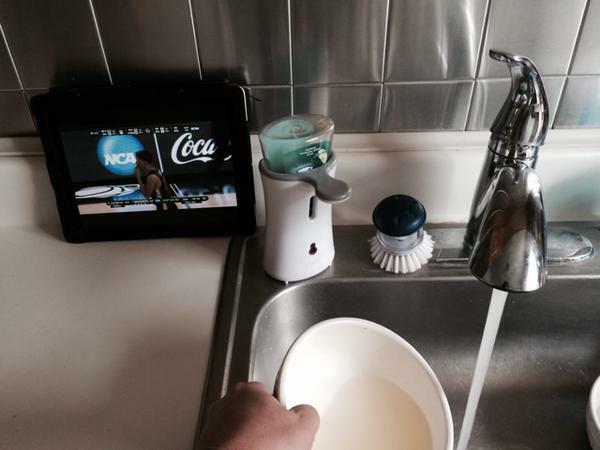 During March Madness, I had the basketball games on my iPad in the kitchen while helping my wife out with making family dinners and cleaning up so I wouldn't miss a minute of action. You can select to watch shows LIVE that are available on your Xfinity channel package or anything that is viewable via On Demand whenever it is convenient for your own schedule. 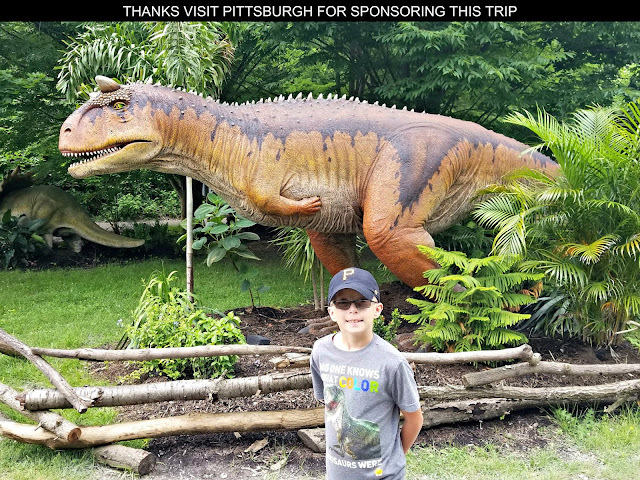 Going on a summer family trip and want to have accessibility to your Xfinity programming to keep yourself or your kids amused on a rained out day or during a long car or plane ride? Another nice option is you can download TV episodes and movies through the app onto your phone or tablet so they can be viewed later without being dependent on wi-fi or a cell signal. 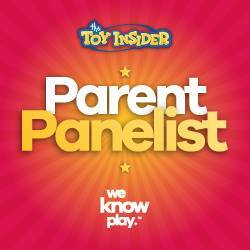 For those times when you are looking for a quick way to keep children occupied there is also a nifty feature that provides a tab in the menu options which provides a directory of some of the most popular Xfinity programming that is "family friendly" and suitable for viewing by young children. For extra protection you can create a pass code and enable parental protections that block content you don't want your kids to get access to. The TV Go app is available for Android and iOS devices and is a benefit of being a Comcast Xfinity subscriber. This service gets A Geek Daddy nod of approval for its accessibility, convenience and dependability. For more information on Comcast Xfinity's products and services please visit www.xfinity.com. Something else that is nice with the TV GO app is movies - you can download movies (for a certain time period) and watch them on your tablet or phone, no internet needed. I usually do that before long flights :). Technology has come so far! I remember getting up to change the channel on the TV because we didn't have a remote. This is awesome! You rock having the Goldbergs on. 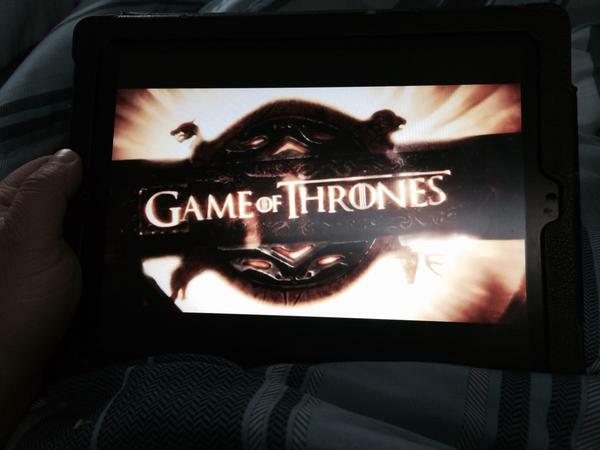 I just gave up on Game of Thrones. I can't handle the violence. This is insane! We have Xfinity, but I can't believe I've never tried the app before. How awesome! That's what you call comfortably portable! How can you not love Xfinity. Right?